I have come across business owners that feel pressure to have a website, so they get one with what they think it should go on it. A site they like. On the other hand, I have also come across owners that know a website can help their business. The first group of owners luckily is diminishing in numbers; most sites nowadays are arguably useful. Well, we also tend to gravitate to the better websites. The second group not only have an advantage but a vast selection of turnkey solutions to help any business succeed. It isn't just the self-serve application, but also all the support systems that can help with content, marketing, e-commerce, etc. Nowadays, your website should earn its keep. It has to add value to your business. There isn't a business out there that doesn't need a website and keeping it up to date has never been easier. There are hundreds of system to manage the content of your site. Whether it is an e-commerce or a service based website, there are proven techniques and technologies to help you generate traffic and increase your business leads. 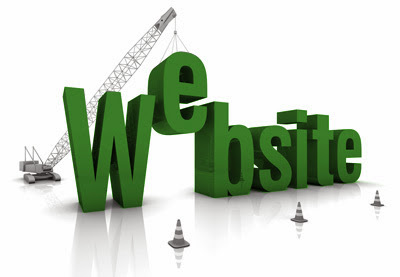 Here is a list of the six most essential elements for a business website. The fact is that companies today need a mobile version of their site. Yes, you too need the mobile version as well; Google predicts that by 2014 mobile searches will surpass desktop searches. Social media is consumed more on mobile than on desktop, and that is where you will do your marketing. Mobile is so big that it has impacted the sales of personal computers, which are down 14% from last year's sales in the same period. There is also the behavioural change in mobile users, who like to do specific tasks on their phones instead of their computers. Mobile is also changing how businesses connect with their customers. Smartphones are selling by the bucket load - the smart thing for a company is to adapt to the new medium. Simple uncluttered and easy to navigate design helps the visitor find what they are looking. Don't think your visitors will browse through your website checking every page and bit of content you have; they see what they want and leave. And if they have a hard time finding what they are looking for they will go - for good. So no intro splash pages and please do not use flash animations that user has to sit through, they just do not add value. Images are excellent as are videos but, be aware of how many you have on a page, too many and it can take a long time to load creating frustration for the visitor. Content is the foundation of your website. Be sure that you are describing your product or service in a clear and engaging way. Remember to keep content short and to the point, use headings, subheadings and bulleted lists to help a user quickly scan your content. Think of your site as the solution to your customer problems. Blogging can be daunting, but by far is the best way to keep fresh content on your website and keep those visitors coming back. Good blog content doesn't need to belong. What you need to do is to blog regularly, stay on topic and talk to your audience. The best way to get visitor's contact information is through forms collecting contact information for something you are willing to give a customer for free, as an e-book, white paper, or a simple newsletter of your weekly blog posts. Most mailing systems such as MailChimp or ConstantContact have ways to integrate their email list with your website forms. YYour website needs to have the ability to add landing pages with ease. This landing pages are tailored for your marketing campaigns and should reflect the message of the ad they came from, whether it is an online or a print ad. Landing pages shouldn't be part of the main navigation, and they should have no links to take the visitor away from them (they won't be able to return to it). They should have a clear message and the call to action (the call to action can be a form) and nothing more. I have covered "Landing Pages" in detail on this post: Landing pages - the key for increasing conversions (updated). Google Analytics is the most used system for web statistics. It is free and has excellent reporting capabilities. It is the best way to understand how your website visitors are using it and how they are getting there. If you are running online advertising campaigns, you can check on GA the results. So it's free, easy to install and has excellent reporting. Get it for your website; you need to measure all your online efforts. In this day and age, your business website should work for you. A business website needs to generate money by either selling a product or service or by generating leads. A website and blog are an excellent complement to all marketing strategies thanks to the rise of social media and mobile devices. Make sure your site has all the elements mentioned in this post, and you will see a return on your efforts.